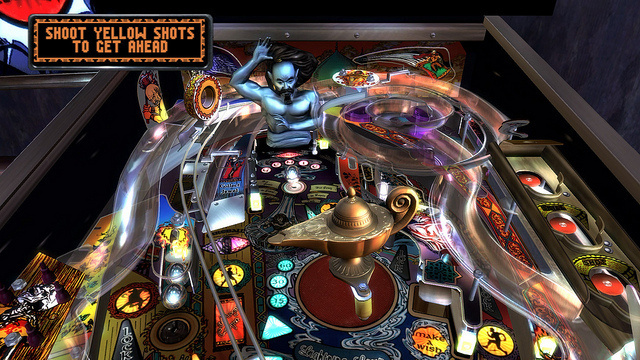 Zen Studios’ Zen Pinball might be the current king of the pinball ring on PSN, but experienced pinball developer FarSight Studios wants to take a shot at the high score table with The Pinball Arcade. Instead of tackling Zen Studios's arcade-y stylings head-on, FarSight's steel balls have something special that sets their title apart – realism. 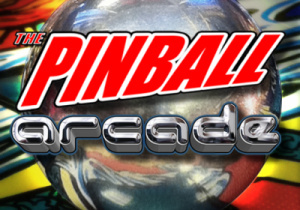 Ask yourself these questions: do you have fond memories of the pinball tables in the arcades? 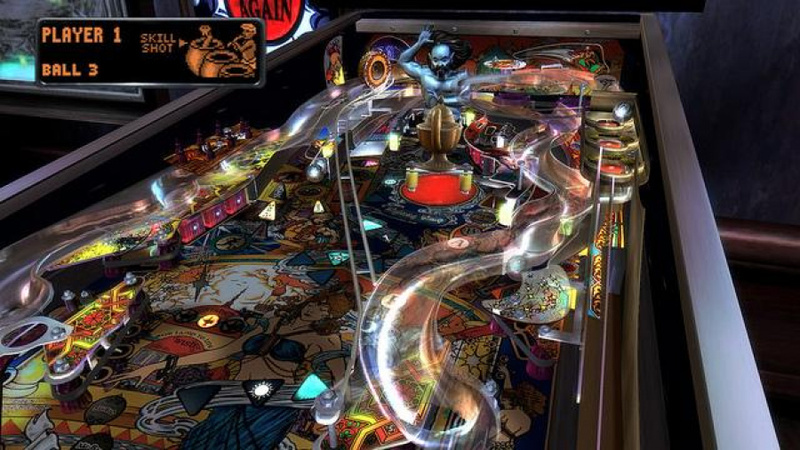 Are you one of the few who still seeks out the remaining tables to get your pinball fix? If you answered yes to either of the above questions, then The Pinball Arcade is a love letter developed specifically for you. 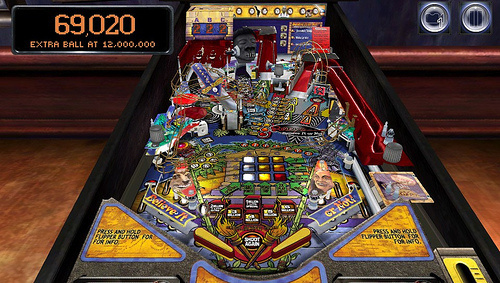 While physical pinball tables don’t always stand the test of time very well due to their inner workings of small moving parts and blinking lights – needing constant repairs — FarSight Studios has sought to bring everlasting life to many of the best pinball tables ever created, by taking on the arduous task of creating exact digital copies of these pinball classics. Starting off with four classics: Stern’s Ripley’s Believe It or Not, Gottlieb’s Black Hole, Bally’s Theatre of Magic and Williams’ Tales of the Arabian Nights, there’s a good amount of variety in the initial purchase. From the desperate tale of the beautiful desert princess that’s been trapped by an evil genie inside the Tales of the Arabian Nights table to the old-school (1981) Black Hole table that hides depth beneath its plain surface, each of these tables is recreated beautifully and gives you the opportunity to experience how the tables progressed throughout the years. There’s an extreme amount of attention to detail in these recreations and for the ones we’ve had the pleasure of playing in both real-life and digitally, they play just as great here as they do in our memories. While these tables might not have all the glitz, glimmer and pure digital awesomeness that we find in Zen Studios' titles, it’s the realism that’s the biggest draw here. Ball physics come as close to perfect as we’ve yet seen before, which makes sure that keeping the heavy steel ball in play on the board is never an easy task. Even the digital screens play out just as their real-life counterparts do. While they all look great on Vita’s OLED screen, the true intricate details of these tables can’t be fully seen on Vita’s smaller screen. Thankfully, the game is cross-purchase compatible, so you’ll gain access to both the PSN and Vita versions with a single purchase, making sure that these classic tables can go wherever you are. Gameplay is as simple to control as ever, with the L and R buttons controlling the paddles and the left/right analogue sticks handling the tilt and ball launching. Alternatively, you can use Vita’s touch screen by tapping the left/right sides of the screen to control the paddles and sliding your finger back on the table’s lever to launch the ball into play. The touch controls work exceedingly well and while we preferred them in our time with the game, if you think you’ve got an even better idea for a setup, control remapping is readily available for you to customise the controls to your own personal preferences. Of course, high scores are the ultimate bragging rights in pinball and online leaderboards not only pit you against your friends, but the entire world. Tournament mode and Challenge mode are both promised as soon as more tables arrive via DLC, and while we’re not exactly sure when we’ll get a chance to enter these exciting modes, we do know two tables will be made available each month for a small fee – Williams’ Ye Olde Medieval Madness and Bride of Pinbot Bundle is now available for $4.99. More future excitement comes from FarSight Studios’ recently successful Kickstarter campaign to digitise Bally’s The Twilight Zone, revered as one of the all-time great tables, with other favourites like Williams’ Star Trek: The Next Generation and Bally’s Attack From Mars possibly following suit. It’s definitely possible that the fun has only just begun. There’s just nothing like being in an arcade and dropping a few quarters into a pinball table in the hopes of beating the table’s current high score. With arcades slowly slipping into oblivion over the years, having your very own personal collection of classic pinball tables could easily drain you of every quarter in your possession. 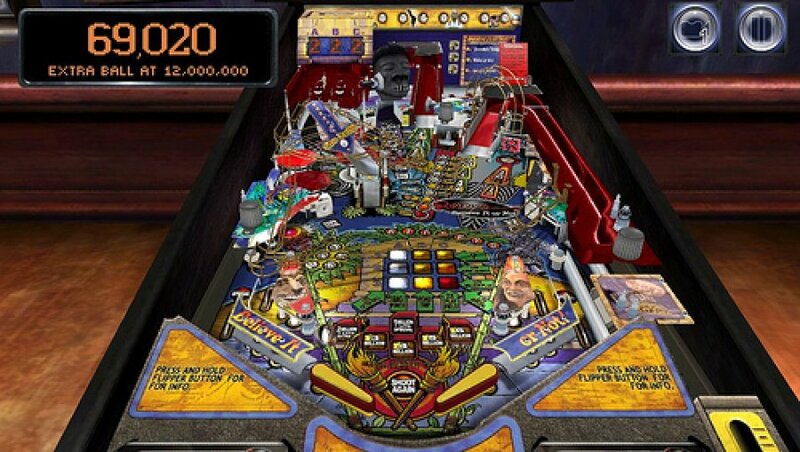 So if you’ve got a Vita handy and a pocketful of quarters, you can trade in your heavy pocket of change for a pocketful of some of the best classic pinball tables ever created. While nothing can ever truly recreate playing these classic tables in the arcades, The Pinball Arcade is definitely the next best thing. This game is awesome but then again so is Zen Pinball. Just get them both its totally worth it. I'll get Zen 2 free, but I'll probably grab this once it gets an EU release. I notice you don't mention the TATE mode on Vita, I saw it in a YouTube video with a player holding the Vita at a 90 degree angle, could you elaborate on that? @KALofKRYPTON I've gone back and rechecked and there is no mention of a TATE option anywhere for the Vita. The instruction manual doesn't speak of it and the only back touchscreen support is an optional mode that allows you to swipe either side of it for tilt purposes. From what I can tell, that's only supported on mobile devices. Have a look at the 4 minute mark. @KALofKRYPTON First of all — great find! Sadly, I just gave this a try and just as the video states, Vita is not designed to be held in this manner, and while it looks great, it's not a feasible option if you're playing the game seriously — something the game is obviously designed for. It's difficult to press the touchscreen without the system shifting in your hands, and near impossible to make proper use of the tilt functions via the back touchscreen. This looks to be an added Easter Egg to the title, as there is no mention of it anywhere in the manual, and I don't think any other review has noticed this either. Kinda neat with this being there, but it's just not a feasible option for the game. Thanks for that. It's a shame it's not too playable but I'll look forward to trying it out. The PSP wasn't either but Star Soldier was one of my most played games on it. @KALofKRYPTON Not a problem at all dood! I used to play Brunswick Bowling on PSP, which was turned sideways like this as well, but trust me when I say, Vita is much more difficult to use in this manner than the PSP. Just tried this out via the demo. I see what you mean, but it's still pretty cool having such a good view of the table. I'd assume Zen 2 will do something similar- it'll be good to see how they handle it. There is no option setting for portrait, or TATE mode. Just turn the Vita sideways. The flippers are X and triangle or front touch, nudge is the right stick or back touch. Plunger is left stick or touch. The scheme may have been updated since the video linked in the above comment.